A Facebook page can become a treasure trove of damning evidence. Although Facebook has a number of privacy settings that users can engage in, they often do not keep everything private in the context of a divorce. While these settings may keep your information from prying eyes, it does not mean the court will not order you to release your Facebook and other social media account information, so it can investigate what is being posted. Although there have been no expressed laws created around this issue, many court rulings indicate where the law may go. An example of this comes from a case in late 2011, a Connecticut couple going through a divorce was ordered to give the passwords to their Facebook pages and dating website accounts to the other party’s attorney in a ruling that was perhaps one of the most invasive in terms of access to personal social media accounts. While the passwords were only meant to be given to the attorneys in the case, it ultimately allowed each party complete and total access to each other’s social media accounts. While this is one example of how Facebook could negatively affect a divorce, there are a number of other cases from across the country that outline this concept as well. 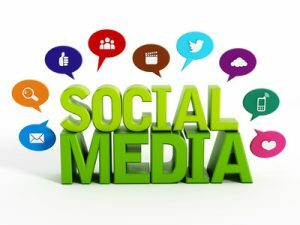 For those who are currently going through a divorce, it is important to know the increasingly important role Facebook and other social media pages like Instagram, Twitter, Periscope, and SnapChat can play during these cases and to be extremely cautious about what is being posted to these accounts if you post anything at all.